Mindfulness is the art and practise of living in the present moment. When we develop the skills to do this - skills including breath awareness, meditation and mindfulness in communication - stressful times are less likely to cause us suffering. And pleasant experiences will bring us the joy we truly deserve. This is the work that I do. I call it 'building up the mindfulness muscle'. 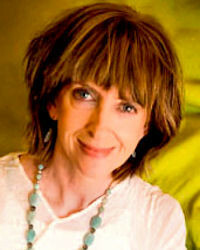 Alison is a Brisbane psychotherapist providing counselling and private mindfulness training. She works with people experiencing anxiety, and depression associated with difficult life transitions. As well, Alison facilitates the 8-week group Mindfulness-Based Stress Reduction (MBSR) course in Brisbane, and also offers mindfulness training and counselling by telephone and Skype. Alison is a workplace trainer in mindfulness. She is also a qualified hatha yoga teacher. Alison's work is informed by the following therapeutic approaches:a personal mindfulness practice; Mindfulness-Based Stress Reduction (MBSR); Mindfulness-integrated Cognitive Behavioral Therapy (MiCBT); Narrative & Solution Focused Brief Therapy (SFBT); Psycho-Dynamic, Family Systems & Domestic Violence Theory. To encourage others to live in the present moment with awareness and without judgement: To this end, Alison has a personal mindfulness, meditation and yoga practice. Her informal mindfulness practice in everyday life is a work in progress! Alison engages in on-going professional development. In 2007 Alison participated in a 7-day intensive mindfulness training for health care professionals in the United States under the direction of Professor of Medicine Emeritus, Jon Kabat-Zinn, Founder of the Center for Mindfulness in Medicine, Healthcare and Society. Alison subsequently returned to Brisbane to incorporate Kabat-Zinn’s 8-week Mindfulness Based Stress Reduction (MBSR) course and other workplace mindfulness training into her psychotherapy and group-work practice. MBSR was one of Queensland’s first structured mindfulness courses, followed later by MBCT, DBT and ACT. In 2010, Alison’s Brisbane MBSR course was featured in the internationally-distributed and award winning SBS documentary, The Silent Epidemic. Mindfulness offered in short training blocks. Please enquire further with Alison. $55.00 per one hour private yoga session.